For IT News Week 1 Dec 2015, the most interesting news was the announcement of the industry’s best performing low profile graphics card by AMD. Juniper Networks recently announced enhancements in the performance, density and operational efficiency of its SDN-ready Juniper Networks MX Series 3D Universal Edge Routing portfolio. This marks the industry’s highest performing edge router which delivers the scale and automation that service providers and cloud operators require to bolster the economics of next-generation networks. The MX Series, powered by programmable Trio silicon and the Juniper Networks Junos software, gives customers investment protection and offers a network application development platform that seamlessly integrates with evolving SDN and NFV solutions. Starting today, travelers from anywhere in the world can enjoy local rates for data in New Zealand as they connect to the internet via the 2 Degrees network at 19€/GB. This is great news for regular or occasional travelers to the country, approximately 3 Million per year, who wish to stay connected at reasonable prices, and continue to use their unique SIM card for future travels, purchased via www.transatel-datasim.com. Other countries covered by Transatel DataSIM in this region include Malaysia, Thailand, Singapore and Taiwan. New countries are added to the Transatel DataSIM footprint every month, which is on track to reach 50 countries by March 2016. Hitachi Sunway Data Centre Services has announced a significant 30% reduction in energy costs for its customer, Sunway Shared Services Sdn Bhd. This was attributed to the successful implementation of the ISO 50001 framework for Energy Management (EnMS) at the Sunway Pinnacle Data Centre. 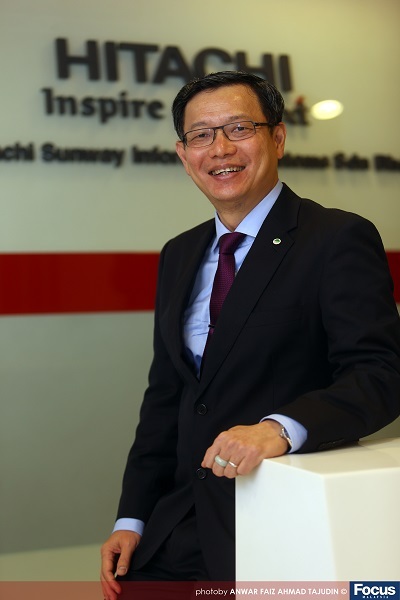 Hitachi Sunway is the first and only data player in Malaysia awarded the ISO 50001 EnMS, which is internationally recognised for the integration of energy performance into management practices. Huntkey Enterprise Group, a global professional power supply provider is introducing the SZN Series of Universal Power Strips with child protection and dual USBs. There is no doubt that curious children are the sources of happiness in family, yet they might turn into the trouble-makers sometimes in daily life: electrical plugs, outlets, switches. Children are interested in touching and playing with the equipment on floor, which may do harm to their little hands. How to keep your beloved babies far away from those incredible dangers? With the child-protective design, Huntkey’s SZN smart power strip series ensure your children receive the best safe care. 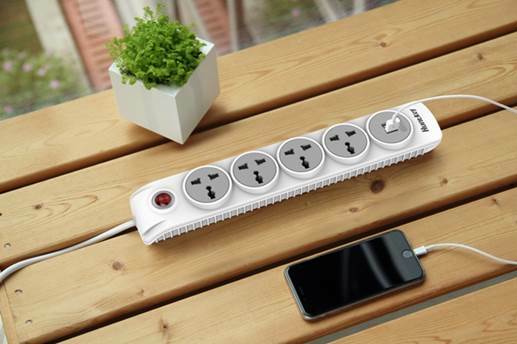 The reason that we say the Huntkey SZN smart power strip is an excellent helper for busy parents, is not only that the pin holes are covered by safety shutters for the protection your babies, but also that the Huntkey SZN series have the one-piece copper bar structural design and the double break switch, to confirm the safety of all your electronic products and all your family members. Besides the thoughtful design, the most attractive advantage of Huntkey power strip is that all the Huntkey products are produced under a strict quality management system. The certifications include VDE, STQC, BS, CSA, so the quality of Huntkey SZN power strip has been proved by tests in different markets. Paragon Software Group, a leading multi-platform dictionary applications developer for mobiles, tablets and PCs, announces the release of the new Oxford Learner's Thesaurus app for Android users. The app helps learners of English understand the differences between similar words in written and spoken English, enabling them to enrich their vocabulary and find the right words to say exactly what they mean. Each entry has a group of 3-10 synonyms. The app clearly explains the meaning of each of the synonyms, as well as their frequency, grammar and register. An example sentence shows how each synonym is used in a particular situation. Notes highlight and explain synonyms that are particularly close in meaning or easily confused, so the user can choose the right word for their context. For example, the Oxford Learner’s Thesaurus helps users understand the differences between familiar words such as easy and simple, while learning words they may not know such as effortless, painless, and plain sailing. The free download will give you 100 sample entries from the dictionary. An in-app purchase is required to activate the full dictionary. The Oxford Learner’s Thesaurus is available for 27.99 USD (21.99 GBP, 27.99 EUR) at https://play.google.com/store/apps/details?id=com.oup.elt.olt. It is today announced that a young person from Malaysia is one of 60 young people from across the Commonwealth who are being recognised as exceptional leaders in their community. These 60 young people will receive a prestigious Queen’s Young Leaders Award. 20 year old Calvin Yoong Shen Woo from Malaysia has been selected in recognition of his work to improve education and reduce poverty amongst young people. The Queen’s Young Leaders Programme was established in 2014 by The Queen Elizabeth Diamond Jubilee Trust in partnership with Comic Relief and the Royal Commonwealth Society in recognition of The Queen’s lifetime of service to the Commonwealth. Over the next three years the Programme will support thousands of young people to achieve their goals. Effective immediately, LASER COMPONENTS offers a PbSe detector in a 4.7 mm TO-46 housing. Up to now, the smallest available size was an 8.3 mm housing. This new component has a 1 mm detector and is available under the designation PB45S10104S. Prototypes are already available in stock for delivery. Blackberry today the availability and full features of PRIV™ by BlackBerry®, the first-ever BlackBerry smartphone powered by Android™ in Malaysia. Combining the best of BlackBerry’s productivity, security and privacy features with the wide world of Google Play™ store apps, PRIV is the epitome of form and function. It has been engineered with the world’s finest technology and packaged in an ultra-thin device – including a dual-curved screen, touch and physical keyboards, state-of-the-art 18MP camera, and long-lasting battery – with unique tools that allow users to manage and control their privacy. Distributed by Brightstar, PRIV will be available through 11street, Celcom, Maxis Enterprise, Tune Talk and other BlackBerry authorized partners, from December 15, 2015 at an RRP of MYR 3,559 inclusive of GST. Outsourcing Malaysia (OM), a chapter of the National ICT Association of Malaysia (PIKOM) believes that despite the various economic and external challenges faced by Malaysia, the local Global Business Services (GBS) sector (formerly known as ‘Shared Services & Outsourcing Industry, ‘SSO’) will continue to see strong growth and good prospects. This is evidenced by the continuing flow of foreign direct investment and the progressive growth of the local GBS sector. The implementation of the ASEAN Economic Community (AEC) as well as forecasted growth global demand for GBS services also provides strong indications for a robust 2016. Red Hat, Inc. , the world’s leading provider of open source solutions, today announced the launch of its Virtual Training Program for Asia Pacific to help bring online training and real-time courses on Red Hat technologies to customers, partners, and IT professionals. The goal of this new initiative is to make access to training on Red Hat’s open source technology simple and quick, helping to eliminate the limitations of having to travel training in a single location and train more people on Red Hat technologies, to help prepare participants to meet the requirements for Red Hat certification. Users may choose from a wide gamut of remote courses in Red Hat’s products and solutions for operating system management, administration, application integration and maximization, virtualization, hybrid cloud development, and more. Red Hat is offering a special launch discount of 25 percent in Australia, New Zealand, ASEAN, Hong Kong and India for all students who attend Red Hat's virtual training from December 2015 to February 2016. Utilising Twitter’s newest live video streaming app, Periscope, Tourism Victoria is inviting the world to experience Melbourne - in real time. 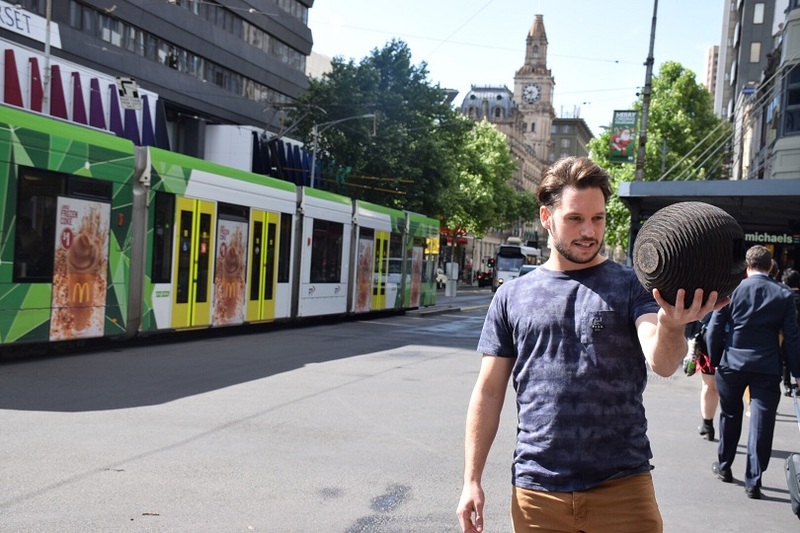 The latest phase of the five year Play Melbourne campaign, Play Melbourne Live will broadcast a series of ‘games’ – livestreams of events, stories, people and places – from Melbourne, to the world. Live and unfiltered, the campaign offers viewers real and authentic glimpses into the 'world’s most liveable city'. 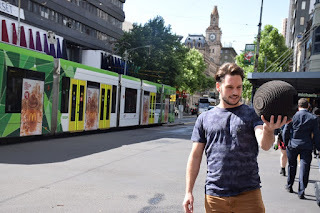 In a world first for the tourism industry, the games use a ball embedded with a smartphone, designed to be passed around by Melburnians while streaming live footage of the city via Periscope. According to Kaspersky Lab, 2015 marked the moment when demand for new malicious programs reached saturation point, as the number of new malware files detected every day by its products fell by 15,000, from 325,000 in 2014 to 310,000. Kaspersky Lab’s experts believe this is mainly due to the fact that coding new malware is expensive and cybercriminals have realized that they can get equally good results using intrusive advertising programs or legitimate digital signatures in their attacks. This approach appears to be working, as results show that despite the cost-cutting in malware creation, in 2015 the number of users attacked by cybercriminals increased by 5%. Cybercriminals in search of a quick return appear to have decided that complex coding tools such as rootkits, bootkits or replicating viruses, may bring results, but at a cost, reducing their overall margins and revenue. For this reason, 2015 saw adware, essentially harmless but often intrusive, become more prominent among overall anti-virus detections. 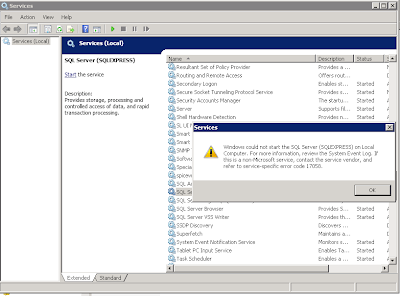 This marks an evolution in cybercriminal tactics, with many now acting almost as businesses, engaged in selling quasi-legitimate commercial software, activity and other “essentials”. Home: the news and info that matter to your professional day. Your home feed is now in your control ­ see only the shares and posts that you want. Me: one place to manage your professional brand. See who's viewed your profile, who's endorsed you for skills and edit your profile all from this tab. Messaging: email is out, messaging is in. All the same functionality for conversations in a lighter­weight interface. And stickers! PQI, the world’s leading brand of peripheral storage accessories for portable devices, announces the availability of the revolutionary iConnect Lightning flash drive with a Rose Gold finish to perfectly match the popular Rose Gold iPhone 6S and 6S Plus. The iConnect is an ideal companion for owners of iPhones with a lightning connection as it provides up to 128GB* of added storage, backs-up files with optional password protection, and easily transfers content quickly between your iPhone and a computer or tablet. The PQI iConnect Flash Drive will be available in the U.S. online from Amazon and Newegg and in-store at Macy’s. The MSRP for the iConnect is $59.99 for 16GB, $71.99 for 32GB, $107.99 for 64GB and $179.99 for 128GB. Tata Communications is proud to play an integral role in extending the value of new services as Microsoft’s partner for Office 365 communications and its recently announced suite of Skype for Business services. Designed to modernize voice, video, and meeting experiences, while saving substantial communication infrastructure costs, Microsoft has partnered with global telco operators such as Tata Communications to provide secure, high-quality network connectivity and managed services that help customers get the best connection experience. Organizations can now replace their legacy meeting and phone systems with innovative services built on the familiar Skype for Business experience, all naturally integrated within Office 365—the world’s most-used collaboration and productivity platform.